Next month marks the three-year anniversary of the initial release of Enter the Gungeon on PlayStation 4, and the release of its final update A Farewell to Arms. And yes, it is free. It has been quite a ride over the last few years, but we are finally at the closing chapter of Enter the Gungeon. We wanted to take some time to go over what is new in the Farewell to Arms update before it arrives on April 5, and thank you all once again for supporting Dodge Roll. We are well aware that when we initially announced the plan to do a smaller update instead of a larger paid DLC, we said that we hoped to have it out by the end of 2018. The reason that didn’t happen is the same reason our previous updates have released a bit later than we intended: we kept adding new stuff. This is the final update to Enter the Gungeon, and as such the content included carries the weight of the end of an arc, the very legacy of the game. 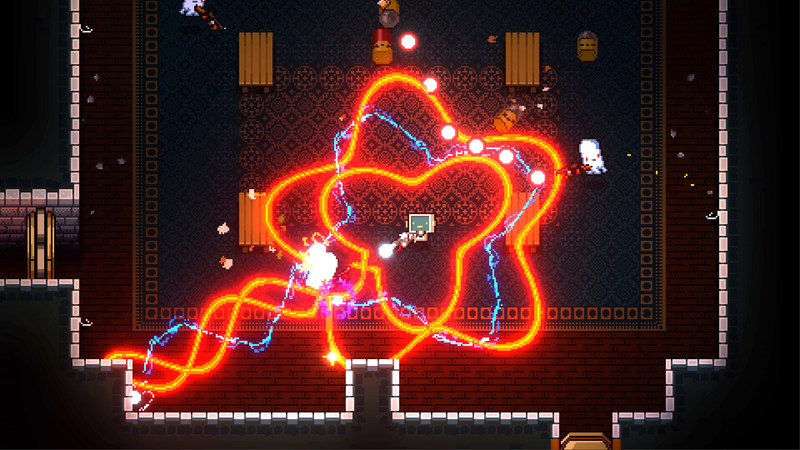 That is to say: we wanted to make sure Enter the Gungeon went out with a bang. With that in mind, we didn’t think just a new randomized “Paradox” character and some new guns and items were enough. Since the announcement of the update, it has grown considerably in size, and is now something more comparable to our first update, Supply Drop. Specifically, we’ve added a second new character with a wild starting item, a new variant of a very powerful enemy, and a new secret floor with its own very special boss that we really can’t wait for the community to experience (make sure you have your sound on!). This boss is in some ways the ultimate form of every joke or reference in Enter the Gungeon. It holds a particular place in our hearts, and it is something we probably would never have been able to do if you all hadn’t helped make Enter the Gungeon the success it has become. Thank you, and I hope you all enjoy it as much as we do. 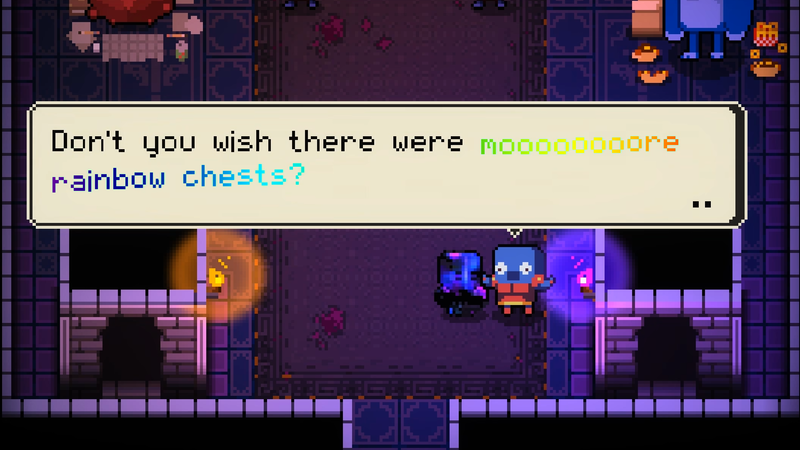 There is a new NPC named Bowler that brings with him a new gameplay mode inspired by the Gungeon community: Rainbow Mode! 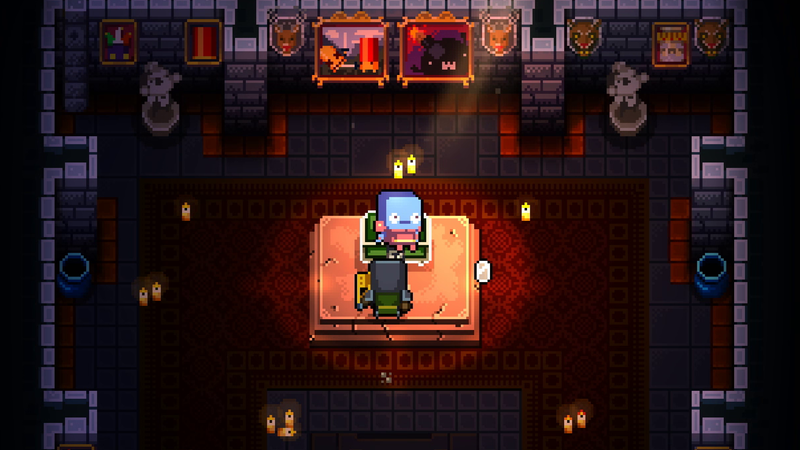 When you play a run in this mode, at the beginning of each floor a Rainbow chest will drop, from which you can only take one gun or item. However, these are the only items you will get other than pick-ups and Master Rounds for the whole run — so choose wisely. 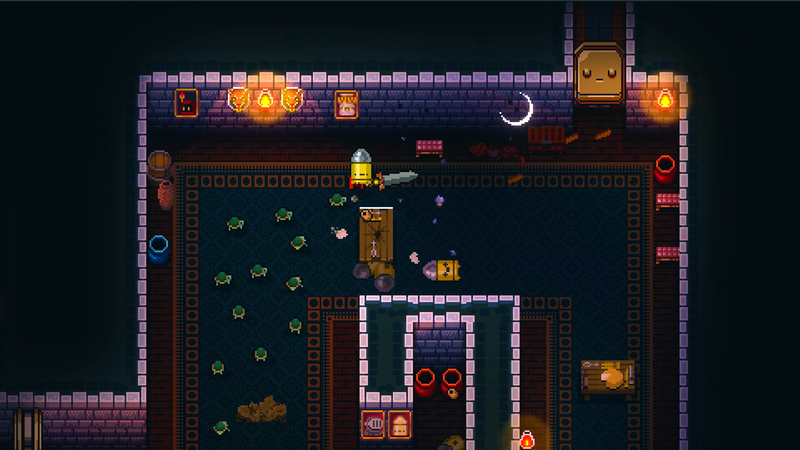 As usual with the Gungeon, this mode can be combined with other gameplay modifiers, like the new Paradox character, Challenge mode, or Turbo mode. We’ve also fixed a number of lingering issues since the last update, along with a few performance improvements. We’ve also made a number of quality of life improvements like boss health bars turning transparent when you go under them, and giving rewards for pedestal and wall mimic kills, among several others. Certain rare NPCs are now somewhat less rare, and the boss DPS cap is ever-so-slightly weaker than it previously was (I am imagining cheers to this). After gathering community feedback we did a substantial rebalance pass that buffs several of the less interesting low-tier items, some drastically changing their function, and evens out the Red chest tier of loot to be more consistently good. This is in keeping with the philosophy of our last update, which was to make the player feel “more powerful, more often” and we predict that loot quality will be more consistent run-to-run with these changes. We’ve also spent more time testing this update than the last one. Gungeon fans may remember that our last update came out of the gate a little rockier than we would like to admit. We can’t promise zero bugs, but we confidently anticipate many fewer, and we will, of course, be supporting this update with bug fixes as quickly as we can. Also, we want to clarify that A Farewell to Arms is a free update to Enter the Gungeon, and will automatically download if you have auto-update turned on in your PS4. You do not have to go looking for it in the store, and once it is installed all of the content integrates seamlessly, so just play and you’ll begin seeing new stuff! Enter the Gungeon has been so much more successful than we ever dreamed to imagine. Its success has changed our lives and allowed us to support it for years with free content, which in turn has made the game much better than it was at launch. The Gungeon community has been nothing short of inspiring, and in our opinion, it continues to be one of the nicest game communities we have ever interacted with. Personally, it never gets old to read the fan theories, or see the awesome fanart. The fact that there are still so many people interested in Gungeon three years in is truly amazing. Thank you sincerely, form everyone at Dodge Roll for the support of this game, thank you for laughing at our puns, and enjoying, or at least tolerating, our Die Hard, Metal Gear and other references. Enter the Gungeon is Dodge Roll’s first real game release and while we are very proud of the game, we are also extremely excited to move on to new projects full time. 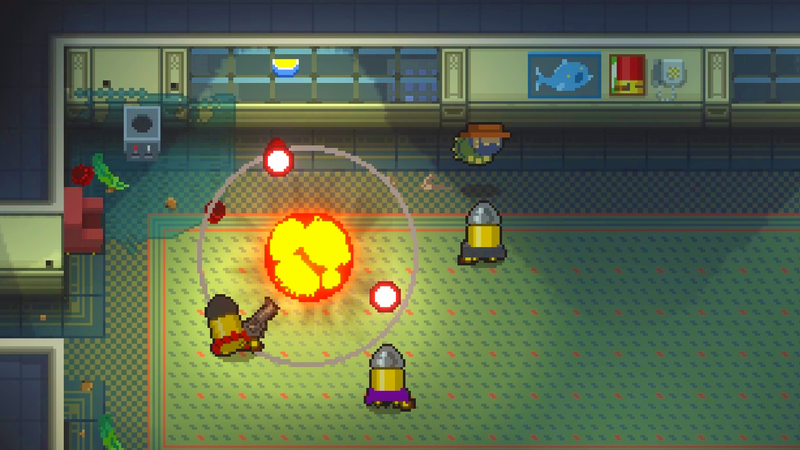 Hopefully we will be able to apply all we’ve learned during Gungeon’s development to make something even better. If you enjoyed Enter the Gungeon, we sincerely hope you will check out whatever we make in the future, Gungeon-related or otherwise. This may be the end of Enter the Gungeon, but the Gungeon remains.